DAVID LE/Staff photo. 8/4/15. 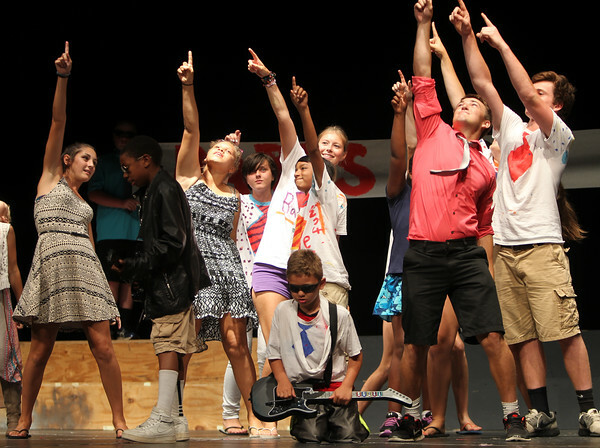 A group of Beverly Rec campers and counselors lip sync the song "Shut Up and Dance" by Walk the Moon during a Lip Sync Competition on Tuesday evening at Beverly High School.